I've now owned my Huawei Nexus 6P for almost a year and I like (almost) everything about it. If you've been considering purchasing this phone, I've put together some of the favorite and least favorite aspects you may want to consider. Also note that since I purchased this phone full price and most mobile carriers have discontinued the $200 smartphone for a 2 year contract, I plan on keeping this phone until it breaks (hopefully 3-4 years). So I purchased a Nexus 6P Spigen case ($10.99). Over the year, I also ended up purchasing for simplicity inside the car a magnetic mount. And a bunch of cables so I can charge everywhere I need. This was a must have feature when I purchased this phone back in November of 2015. At the time of purchase, this USB spec was just beginning to be integrated into Android devices and this may have been one of the first. One of my biggest pet peeves with the older generation USB cables was correctly orienting the cable. Given it was late at night and already dark (I don't want to turn on the nightstand light because my wife is already sleeping), I often spend more time fumbling with the cable to charge my phone. Now, the USB C cable makes this daily frustration and thing of the past. Because USB C is new, finding cheap cables isn't as easy. And there are many reports that with USB C, it's safe to purchase a USB cable specifically for your phone by the manufacturer. It appears that not all USB C cables are created equal and just because it's USB C does not ensure fast charging. Some have even reported a faulty USB C cable damaging their device. That being said, a USB C cable (either to USB A or USB C) on the Google Store goes for $25 each, and that's just the cable! Be prepared to purchase more USB A to USB C cables. This aspect of the phone has both advantages and disadvantages. For one, when I use it to navigate in my car. I can do a quick glance and safely see all the details on the screen. Aside from driving navigation, the large screen is also great for playing games, especially when accurate clicking is a must. The only major problem I did not forsee when I purchased the Nexus 6P was that single hand typing would be nearly impossible. With my old phone, I could easily reach a majority of the screen with my thumb. With the Nexus 6P, I can no longer reach the opposite end of the screen. Google has since release a feature to toggle a smaller keyboard (both for left and right handers) that's docked to the side, but I almost always forget to toggle it, especially when I'm on the run. I love how quickly I can unlock the phone. The scanning is leaps and bounds faster than unlocking with a pin or password. And because the fingerprint scanner on located on the back of the phone, it is a very natural place for my pointer finger to unlock the phone when in hand. The problem with the fingerprint scanner being on the back of the device is you can't unlock the phone while the phone is mounted to the vents while driving. And yes, using the phone while driving is both dangerous (and illegal in California), I am using Google Now. But even Google Now requires unlocking even though I have enabled the option to unable by voice. For that reason, having the fingerprint scanner on the front of the phone will be a major must have on my next phone. I love this feature! Double tap the power button and it auto-loads the camera. It's usually ready to take a picture in a couple of seconds. There's no need to unlock the phone. Since we have a Maltipoo, there are instances when we need a camera at that very instance to capture a moment. Almost 100% of the time, we reach for my Nexus 6P over my wife's iPhone 6. The image quality is pretty good, but that's all relative as image quality improves with every new iteration of a new flagship phone. But the quality, especially in low light, such as restaurants, is fairly acceptable. It's still a bit grainy, but there's only so much the phone can do with a small sensor. For the most part, performance on this phone has been up to my expectations. I keep most of the background Google services (such as location, updates, and photo uploads, etc) running, and even so I have no performance issues with most well developed and mainstream games. Given it's only been 1 year, as newer OS and higher demanding apps are released, the performance may appear to degrade. Inside the Spigen case under heavy load, generally high performance games, I do notice that the case does get warm. Especially if the phone lack ventilation because it is flat against the table or bed. But that makes sense, but is something to be warned about. Because this is a Nexus phone, it gets monthly security updates as well as the latest Android OS when it becomes available. With all the hacks going on, security is important and I was simply tired of Mobile Carrier branded phones that took many months to upgrade, if there was even a provided plan to upgrade. The downside here is with the recent announcement of the Google Pixel phone, Google Assistant for some odd reason wasn't guaranteed to be released on the Nexus line of phone. Given the Nexus 6P is only a generation back, I have every confidence, but no evidence, that the Nexus 6P can support without issue Google Assistant. My impression is that Google has blatantly ignored their customers who have purchased Google sanctioned phones in the hopes of higher sales. 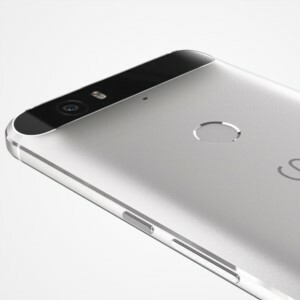 But let's be honest, how many Nexus 6P owners are going to upgrade to the Pixel?